This is a guest post by Dr. William Charschan, Certified Sports Physician and the Medical Director for USA Track and Field New Jersey. If you’ve ever watched people walking in the park, you may not pay much attention to the way they move. In your own body, unless you’re incapacitated by pain, you also may not pay much attention to how you move and why. On the other hand, if you took your cell phone and took videos of a few people walking or running in the park, and you knew what to look for, you may notice that we do not all walk the same, use our bodies the same and have the same gait (the way we walk), the same stride and we even move our bodies differently as we move. Walking and movement is holistic, meaning that we all move differently and walk with our body, rather than with the back, the knee, the foot or the shoulders. 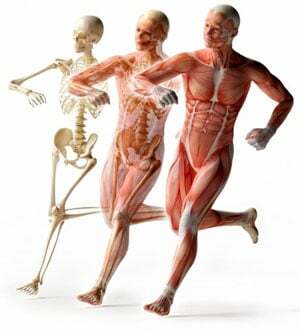 Due mostly to genetics and our adaptation to our individual body styles, we see different styles of movement as well. The reductionist side, that we have parts that go bad, like our lower back for instance or our neck and shoulders, is an idea that is taught to healthcare practitioners. These ideas are reinforced in the way rehabilitation practitioners and other medical based providers have learned to apply therapies for the conditions they and most of us believe they treat, often based on our symptoms. 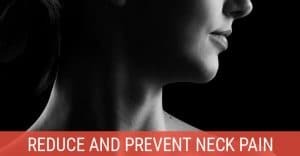 Their reductionist approach has resulted in billions wasted on therapies, medical procedures and exercises that do not solve your problem of a painful back or neck. They have also helped drive the cost of health insurance skyward. John E. Sarno’s book Healing Back Pain: The Mind-Body Connection suggests that for many, the pain is all in your head, has often been quoted by people who have read and tried his methods. Yet they too are still in pain, but learn to manage the stress of life and how increases the intensity of pain. Ironically, he worked in the department of physical therapy that treated many cases that did not improve with reductionist healthcare regimens. JFK, one of our most famous presidents, suffered from horrible back pain at the hands of experts who did multiple surgeries on his back which made him worse, rather than better. He was one of many high profile examples of why reductionist thinking can more often be more harmful than helpful to relieve back pain. 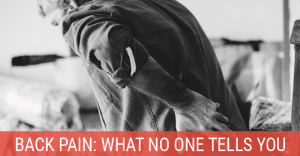 Are the findings on an MRI, a sensitive diagnostic study telling us the whole story about why you are in pain or is it being used as a reason to be more invasive in our approach? If you look at the record for back pain treatment, too many people have had back surgeries that limit movement; often creating other problems as movement is restricted at the area the imaging study showed there was a problem. This has resulted in many failed back surgeries that are no longer performed on desperate people who had nowhere else to turn. There is a slow movement to holistic care of the body and its systems by naturopaths, homeopaths, M.D.’s and chiropractors who are rejecting reductionist idea’s on rehabilitation and treatment and exploring the idea of looking at the human frame, how it moves and how its systems integrate. Writers such as Myer’s, the author of Anatomy Trains actually dissected the fascia and reasoned that this is affecting how we move and that the fascia controls movements and has its own neurological system. This is quite different from what doctors were learning in anatomy lab years ago, while trying to learn the origins and insertions of the different muscles and nerves. Many of the ideas we had concerning pain and its mechanisms are being turned upside down by the International Fascial Congress who has introduced study after study of how the body moves, adapts and why. Providers are now learning about how to affect the fascia which affects movement and pain. Some doctors who are looking at the way movement and fascia affects the way we move, feel, and function are now using treat-test-treat protocols and active evaluation methods to better diagnose and treat their patients, while customizing the care to their unique body styles. Active evaluation holistically looks at function and gives the healthcare provider the rationale of where to treat, they treat it and then retest to see if we improved function based on how we approached care that visit. Then progress is monitored on a visit to visit basis and exercises to retrain an area are given to perform at home as the ability to move and function improves. This approach has resolved many lower and even upper back problems when other approaches have failed, because it is tailored to the patient and by process of elimination improves function by testing the patient. The book, Cheating Mother Nature, what you need to know to beat chronic pain, refers to these doctors as the enlightened practitioners. The book discussed the cause and effect of the way we are built, which is a series of inherited traits we share with our parents and their parents. The most effective healthcare providers for back pain are thinking outside the symptom box and resolving the problems of movement, which include the symptom of back pain. Individualized care based on movement, fascia and changing the rules of body mechanics on a patient by patient basis will change the world of back pain treatment. Movement involves the core, the legs and even the upper body. If your gait (the way you walk) is asymmetrical, you will want do something that will level your hips and improve the way you walk and move. Most chiropractic sports physicians look at movement, and use spinal and extremity manipulation which enhances movement, in addition to treating tight fascia that surrounds our skeletal system. They are well equipped to be a one stop shop for most problems in the musculoskeletal system and more studies now show manipulation has an edge over many other treatment approaches because it improves motion. Treating movement is also a simpler way of looking at a problem holistically, rather than the older reductionist vision that has been often unreliable, or treated the symptom, leading to other parts of the body to then become a symptomatic problem. Here are three things you can do now that can improve the way you move and function. Perform squats, planks, bridges, and other exercises to improve responsiveness and strength of your core muscles. Doing so is a great way to improve your feel and function. Foam roll tight fascia to improve your flexibility. By improving the way you move, you improve the way you feel. These are general recommendations that often are helpful. If you do not feel improvement, visit a healthcare practitioner who can perform manipulation, myofascial release and exercises, and looks at you holistically, rather than just your back. Back pain may be a problem in the legs, the upper back, the shoulder and even the hip joints. You will require the help of a licensed healthcare professional to get the best results. William D. Charschan DC. CCSP. 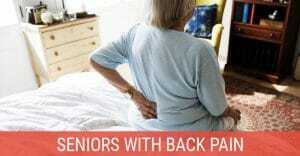 ICCSP is in private practice in North Brunswick and Scotch Plains NJ and can be contacted at www.backfixer1.com. 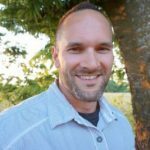 He is the author of Cheating Mother Nature, what you need to know to beat chronic pain.